MyCar-Reg.org or its products are not endorsed or affiliated with any government entity, including any federal, state, county, city department, bureau, division or agency. When it comes to car insurance, there are tons of choices. One of the most important choices you’ll make when purchasing auto insurance is the company you decide to buy it from. This company can make all the difference if you ever need to report a claim or ask a question about your insurance. The coverage you choose to carry on your auto insurance policy is an important aspect, but the insurance company you select should also be given just as much inspection. The experts at MyCar-Reg.org encourage all car owners to take their time researching car insurance companies before choosing where to place their policies. 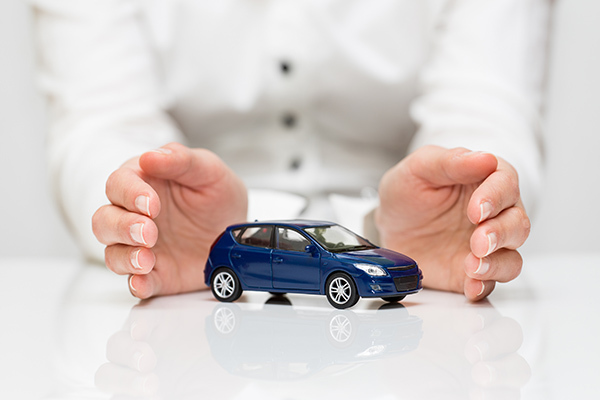 Here are a few important steps to choosing your next car insurance company. There are many online resources to look up company reviews, so it’s easy to learn other customers’ opinions of different auto insurance companies. Take your time reading consumer reviews and ratings of the top auto insurance companies, so you can get a feel for each company’s strengths and weaknesses. According to the team at MyCar-Reg.org, these companies are constantly working on improvements and changes. Therefore, you should sort the data you find by the date and the year it was created. Only view the latest customer reviews of these auto insurance companies so you can get an accurate depiction of how customers have been treated recently. Every auto insurance company has its own way of doing business, and offers its own unique customer discounts. If you know you have a good student in your household, or are a safe driver who hasn’t been in an accident in years, find an auto insurance company that will cater to your good qualities. Pay attention to the exact discounts offered by these companies, and choose one that will offer the most discounts that apply to your situation. This can ensure you get a great rate on your insurance, and you can continue taking advantage of these discounts for years to come. The experts at MyCar-Reg.org recommend looking into the requirements for each discount offered to guarantee you meet the qualifications and can easily prove you deserve to receive the discounts, first. This can prevent any letdowns once you sign on with a new insurance company. There are some major auto insurance companies that are easily recognizable like Geico, Allstate or Progressive. These companies are assumed to have great financial standing because they’ve been around for years, show competitive growth and will probably be around for many more years to follow. If you’ve found a smaller company with good reviews that seems to fit your needs, it can be risky to trust they’ll be around for a while. You can use he J.D. Power or A.M. Best websites to check out an auto insurance company’s financial standing and rating within your state. If the company has a poor rating on these websites, you should avoid it. Car insurance companies that aren’t financially sound may have to deny their customer’s claims if a catastrophe happens because they’re unable to pay out and satisfy these claims. Choosing a car insurance company isn’t just about the price they offer or their financial rating. Make sure the company operates in a way that’s convenient and efficient for you. If it’s easier for you to make your insurance payments online or to e-mail the customer service department instead of calling, make sure the auto insurance company you’re considering offers this feature. If you prefer face-to-face time with an insurance agent, or the ability to reach someone by phone 24/7, look into the potential auto insurance company’s call center hours or the closest office to you. The team of experts at MyCar-Reg.org also suggests contacting the company directly by using the method you prefer to get a quote. This will give you an idea of the response time and customer skills of the provider, so you can judge whether you want to move forward or not. Copyright © mycar-reg.org 2019 All Rights Reserved.